Publisher: MacINTYRE PURCELL PUBLISHING INC. This Canadian children’s book is pure entertainment for young and old. 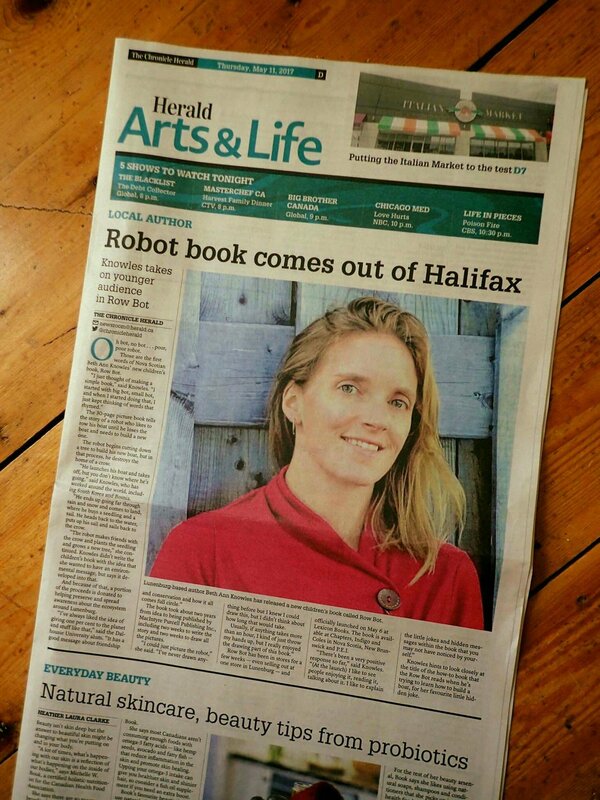 The word play that starts with the title: ROW BOT (as in Robot) continues throughout the book and will delight both parents and children alike. 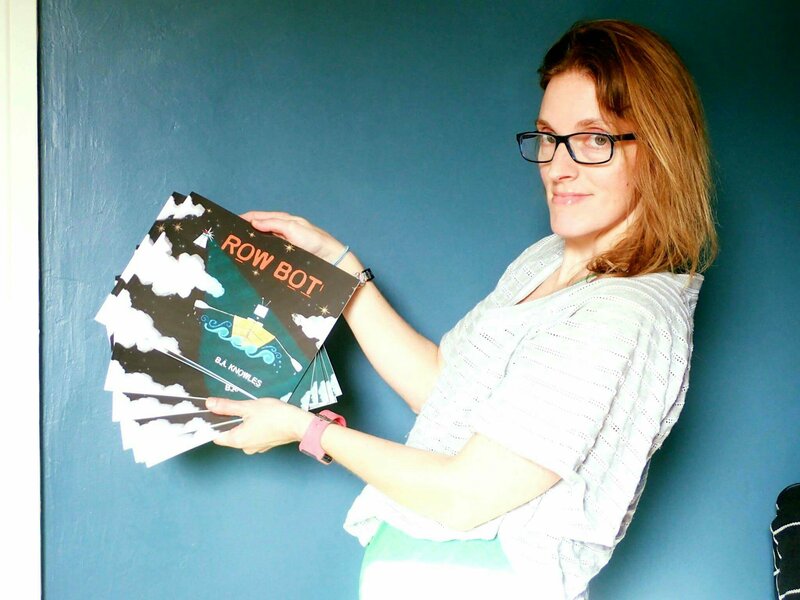 The target readership for this book is children aged 4 to 6 years old, but it is my belief that children of all ages will fall in love with ROW BOT, just like I have. Through imaginative rhymes and alliteration, author B.A. Knowles has created a fantastic story where the illustrations tell as much of the story as the words do. There is also an important lesson buried inside the fun of the story which is something everyone should learn. What is it? Well, you will need to purchase a copy of your own to find out. With the holiday season fast approaching, parents, Grandparents, Aunts, Uncles, and even Santa’s elves will be out shopping for gifts. ROW BOT should be on everyone’s list. In fact, I think it would be the perfect gift not only for the children in your life, but also for their primary school teachers. If all the details I have listed above are still not enough to make you want to run out and buy this book, let me give you about one last incentive. A portion of the proceeds from the sale of this book will support the Bluenose Coastal Action Foundation. This Foundation is leading efforts to protect, enhance and restore our ecosystem through research, education and action on the South Shore of Nova Scotia, Canada. After completing a science degree at Dalhousie University, B.A. Knowles‘ career path led her around the globe and back again. She lives along a dirt road overlooking the waters of the Atlantic Ocean and just a stone’s throw from where she first spied the Riverport Row Bot. She now draws (literally) inspiration and motivation from her husband and two young sons, their family exploits, and all the rhymes a tub full of dirty dishes can evoke.